Interlocking concrete pavement market conditions favoring strategic plan, vision and mission realization are indicated in the ICPI 2016 Industry Sales Survey, to be released this month. 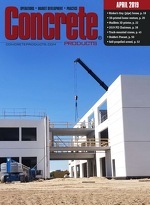 New home construction, acceleration in sales of existing homes, a rebound in public section construction spending, and an increase in commercial construction all contributed to strong growth last year for U.S. and Canadian segmental concrete pavement. Survey respondents, including 29 companies representing 141 paver-producing machines, report shipments across all segmental concrete pavement categories up 15.4 percent in the U.S. and 8.9 percent in Canada compared to 2014 figures. The Industry Survey encompasses segmental paving products including interlocking concrete pavers; permeable interlocking concrete pavers; concrete grid pavers; paving slabs; and, other concrete products, including patio stones. In the principal category of concrete pavers, as defined by ASTM and CSA: U.S. production increased 15.2 percent year-over-year, from 517 million to 595 million square feet, while Canadian output grew 10.6 percent, from 85 million to 94 million square feet. At just over 78 percent of all sales, the survey finds, the residential market continues to drive segmental concrete pavement. Commercial sales, including municipal and industrial projects, claimed a 1 percent share increase from 2014, representing nearly 22 percent of the total 2015 market. Among notable residential and commercial market developments is permeable interlocking concrete pavement (PICP). Industry Survey respondents cite significant increases in PICP residential sales, likely reflecting the increasing popularity of municipalities issuing stormwater credits/reimbursements to property owners who reduce their impermeable surfaces. On a related note is the Southeast Atlanta Green Infrastructure Initiative, embodying the largest North American PICP installation of its kind to date. The project will see completion of six miles of permeable paver streets this summer, becoming one for the records. The Atlanta initiative, along with installations of more conventional scale, underscore how PICP continues to be a high growth product as a means to meet national, provincial, state and local regulations to reduce stormwater runoff. Permeable Pavements. The Committee encourages the [Transportation] Secretary to accelerate research, demonstration, and deployment for permeable pavements to achieve flood mitigation, pollutant reduction, stormwater runoff reduction and conservation. Projects may include roadway shoulder load testing and documenting life-cycle cost efficiency. The continuity has important procedural significance, ICPI notes: Because the same language is in both bills, there is a virtual certainty it will be retained in the final vehicle funding FY2017 federal programs. On the other side of government affairs activities—regulations—ICPI recently joined 22 other construction industry trade associations in filing a U.S. Court of Appeals petition to challenge the Occupational Safety and Health Administration’s final respirable crystalline silica rule. Construction Industry Safety Coalition (CISC) members share OSHA’s goal of reducing silica exposure on construction worksites but have significant concerns about whether the agency’s rule is technically feasible—particularly the final permissible exposure limit. CISC will continue to work with members on ensuring workers are fully protected from plant and worksite safety and health hazards. ICPI’s strategic plan focuses on expanding the commercial segmental concrete pavement market as designers and project owners look to the Institute for technical support. Members and staff plan to continue in 2016 a range of activities from recent years, including direct support to provincial, state and municipal agencies in developing permeable pavement design guidelines. Agencies supported with technical information and guidance to date have included the FHWA, Federal Aviation Administration, Caltrans, District of Columbia Department of Transportation, Ontario Ministry of Transportation, plus Denver Urban Drainage and Flood Control District. Agency representatives, along with civil and geotechnical engineers, consultants and contractors attended spring 2016 programs in Irvine and Berkeley, Calif. Hosted by 11 paver producers, the seven-hour seminars offered continuing education credits from ICPI plus American Institute of Architects and American Society of Landscape Architects, along with professional development hours. Presenters included pavement engineer David Hein, P.E. of Applied Research Associates, Inc. and ICPI Technical Director David Smith. Presentations covered a) site selection, including a software tool for ranking site suitability for PICP, structural design, hydrologic sizing, construction specifications and methods, and maintenance; and, b) use of the Permeable Design Pro software program to determine subbase thicknesses for water storage, infiltration and traffic load. Dr. David Jones of the University of California Pavement Research Center, Davis, examined how PICP full-scale load testing in 2014 led to validation of ICPI design tables for determining subbase thickness. The Berkeley presentation included a visit to nearby Allston Way, California’s first publicly-owned PICP. Don Irby, PE, associate civil engineer with the City of Berkeley Public Works Department, explained how the 27,000-sq.-ft. project was developed, constructed and maintained. Segmental Paving Slab Modeling/Structural Analysis. Concrete paving slabs are units that require two or more hands to install, and are seeing increased use in residential, commercial and municipal applications—especially with some exposure to vehicular traffic. Applied Research Associates has developed pavement thickness recommendations for paving slabs, thin paving units and paving planks; they address various bedding, base and soil types. Resulting charts will be included in an ICPI Tech Spec. University of California, Davis PICP Full-Scale, Accelerated Load Tests. A final report posted on UCdavis.edu includes PICP subbase thickness design charts validating those ICPI published in 2011 and based on the AASHTO 1993 flexible pavement design method. UC Davis design charts provide thinner and more economical subbases in semi-arid climates since thicknesses are determined on the number of water-bearing days. After a July 2015 report presentation, Caltrans agreed to include UC Davis design charts in its Pervious Pavements Design Guide. The charts are in the draft ASCE PICP national design standard expected in 2016. North Carolina State University PICP Monitoring. Multiple studies have shown PICP is an effective tool to improve stormwater runoff hydrology and water quality, even when sited over high infiltration soils. This project weighs PICP efficacy over nearly impermeable soils (approximately 0.01 in./hour or 0.254 mm/hour). Landscape Architecture Foundation grants. Ten university landscape architecture programs have received funds covering landscape performance course and class/studio development. This endeavor accelerates awareness and practice of evaluating landscape design performance—an approach practitioners are increasingly adopting in sales and business development. Landscape Architecture Foundation Landscape Performance Series Website. A three-year grant supports expansion of the site to include information on measuring segmental pavement performance. This includes providing case study ideas, curating case study collections, providing input on social media and blogs, and online learning module development. University of Missouri PICP Hydraulics Research. Graduate students have designed and built a laboratory flow testing device to measure PICP horizontal inflow and overflow. Numerous tests have been conducted on pavement specimens with 6-, 10- and 12.5-mm joints plus No. 8 and 9 jointing aggregates at various slopes. Testing included clogging studies with high concentrations of total suspended solids. Deliverables include an Excel tool that determines the hydraulic characteristics a site can attain. Conclusions reframe PICP performance in terms of joint widths and aggregate sizes. Oldcastle Architectural Products Group is the leading North American producer of concrete masonry, lawn, garden and paving products. A U.S. subsidiary of CRH plc, it also produces packaged cement mixes, lightweight aggregates, bagged decorative stone, and concrete roof tiles. With over 206 operating locations and 7,000+ employees, Oldcastle Architectural operates across 38 states and two Canadian provinces. Each company works autonomously to service local markets, while leveraging group best practices and resources. Belgard is Oldcastle Architectural’s flagship brand, spanning a complete collection of paver and wall products for outdoor living spaces, walkways, driveways, parking areas and retaining walls. Available in a range of styles, premium Belgard products have been found in America’s finest homes and award-winning commercial and retail properties since 1995. Earlier this year, Oldcastle Architectural unveiled a brand to make its vast portfolio of masonry products and services easier to identify, select and order. Echelon Masonry builds on the group’s track record of continuous innovation in conventional or premium architectural block; unit color variety; lightweight or full depth veneer stone; high performance wall systems; and, products with advanced environmental or acoustical performance. Trenwyth Architectural Masonry block, Artisan Masonry Stone Veneers, Quik-Brik (concrete masonry brick alternative), Architectural Concrete Masonry Units (regionally produced), Amerimix bagged blends, plus EnduraMax and InsulTech masonry systems are consolidated under Echelon. The new brand is positioned with existing Oldcastle Architectural pillars: Belgard Hardscapes, Sakrete and Lawn & Garden (organic bagged products). Oldcastle APG is supplying Belgard permeable interlocking concrete pavers for the Southeast Atlanta Green Infrastructure Intitiative, whose six miles of streets are scheduled for completion this summer. The landmark project dovetails a major resource to which ICPI contributed: the 260-page Permeable Pavements, published in late 2015 by the American Society of Civil Engineers.